As you delve further into the world of container gardening, you might come across a new term: grow box. 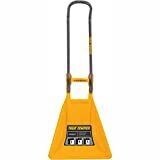 This piece of equipment can transform your humble container garden into an efficient, highly productive operation. 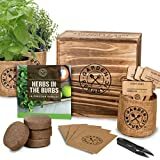 But what is a grow box? And how do you select the right one for your garden? What about other self-watering systems? 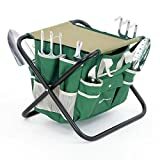 Who should consider a grow box? While you can start a successful container garden with little more than a pot and some soil (and a plant, of course), growing your container garden past this point requires some more advanced equipment. This is where a grow box enters the picture. A grow box is a self-contained planter. Grow boxes have, to some capacity, the ability to regulate environmental factors like water uptake, temperature, and nutrition. While a grow box requires some level of initial setup, the required ongoing maintenance is nothing compared to traditional growing methods. Grow boxes are the "set it and forget it" of the container garden world. Grow boxes come in many different complexities. Some are just a typical planter with a self-watering reservoir. 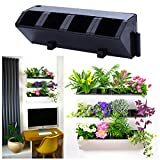 Some go so far as to include a grow light and air filter — these often have a closed cabinet that truly isolates your plants from the outside environment. Most grow boxes, though, fall somewhere in the middle. While the exact features of a grow box depend on the make and model, the biggest benefit of using a grow box is that it is self-watering. Whether you're away from home often, are too busy for regular maintenance, or are looking for a more efficient way to garden, a grow box is a great tool. Watering globes can be added to any plant or soil, though some plants do better than others with this method of watering. 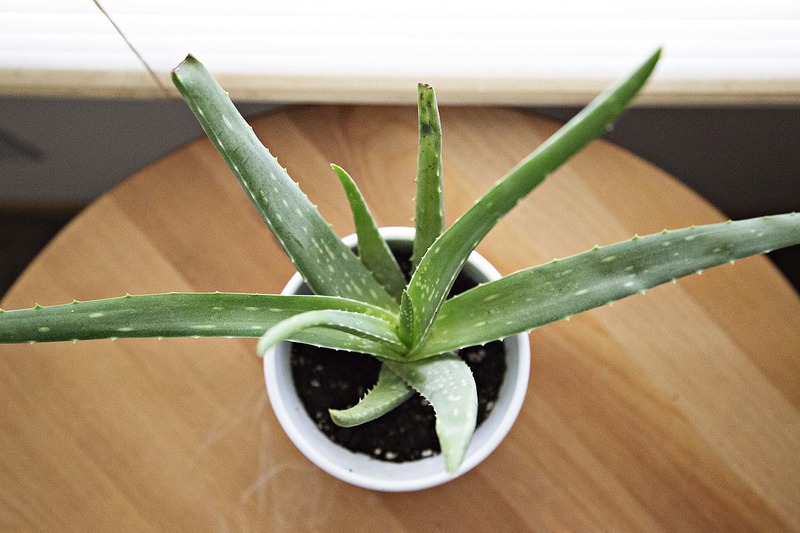 These are great for thirsty houseplants that normally need daily watering. Watering globes are not a replacement for regular plant care. You must remove, clean, and refill them on a consistent schedule. The benefit of water globes comes from the steady flow of water into the soil over the course of about a week, instead of one heavy watering by hand. Downsides of this method are that the globes can be difficult to fill and that they do not last very long. 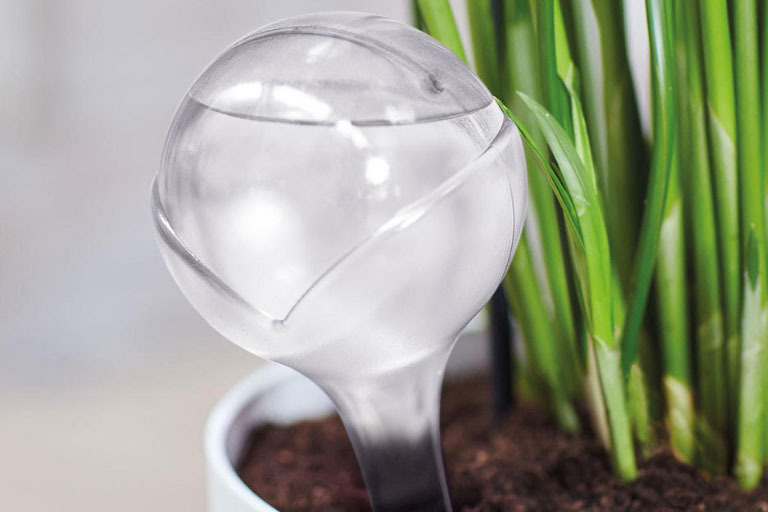 While these glass orbs will keep your plants hydrated over a long weekend, you'll need to come up with a different solution if you plan to take a real vacation anytime soon. 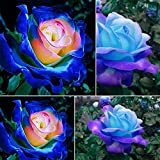 You can find watering globes at almost any hardware or gardening store, or on Amazon. Watering stakes work just like a watering globe, but use a detachable plastic water bottle to hold the water. 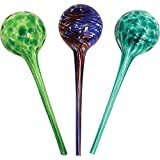 While they are very similar to watering globes, they are a bit easier to fill and clean than their glass counterparts. 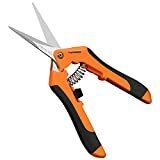 These can also be found in your local store or on Amazon. Watering probes are a more advanced version of the globes and stakes mentioned above. They make the probes from water-permeable ceramic, which allows the soil to pull in water when it needs to. However, when the soil is saturated, it also keeps the water in the ceramic cone. Watering probes connect to an additional water source, such as a large bowl of water or a sink. This allows them to "hold" much more water than a watering globe or stake. The ceramic probes do require occasional removal and cleaning, but you only need to do this every few months. 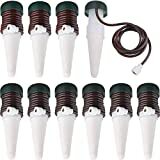 You can find a starter set of watering probes on Amazon. These planter inserts create a water reservoir in the bottom of your normal pots. 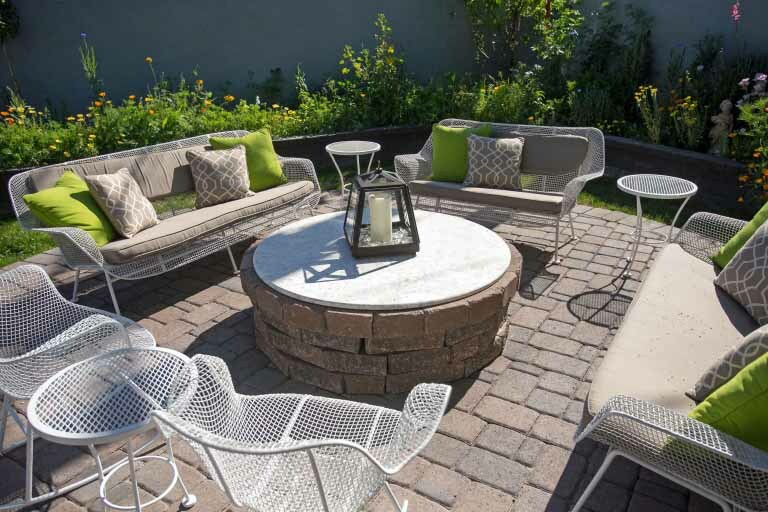 While you will need to remove any plants and soil to install the insert, most come with a refill tube for easy upkeep. A self-watering planter insert can help regulate your soil's water uptake, but it is no different than using a planter with a built-in reservoir. Unless you have your heart set on using a specific pot for your container garden, you might as well just purchase a planter already equipped with a reservoir. 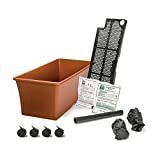 Self-watering planter inserts can be found at some gardening stores and on Amazon. There are plenty highly-rated grow boxes on the market, so it can be hard to choose the best one for your container garden setup. 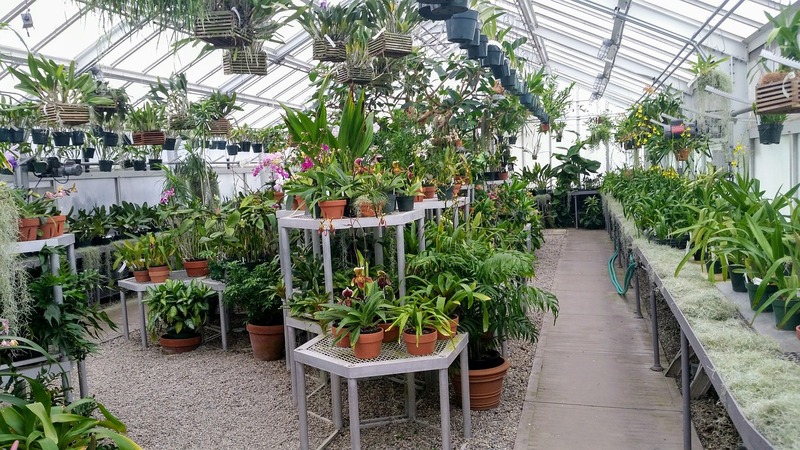 Some factors to consider, aside from customer ratings, are the size, soil capacity, and what features — self-watering, fertilizing, temperature control, etc. — the grow box has. To help you navigate the current offerings, we've reviewed some of the best grow boxes on the market. 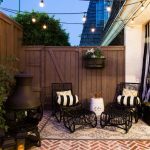 This list should help you narrow down your choices to one that will truly meet your and your garden's needs. For our review, we focused on grow boxes that advertise self-watering as their main feature. This allowed us to compare each product against the others more directly. While there are plenty of very advanced grow box systems, these are simply outside of the scope of our review. We looked at the functionality of each grow box — how it works as well as set up and maintenance requirements for the user — in addition to customer reviews, pricing, and availability. 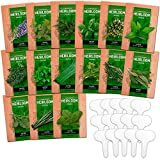 With each product, we included a recommendation for the best type of situation for each grow box. 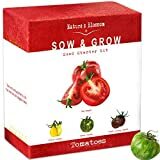 This grow box is advertised for tomato plants, but almost any vegetable or ornamental plant will do just fine. The Garden Patch Grow Box was given a 93 percent approval rating by the National Home & Gardening Association and was the recipient of the 2007 MGA Green Thumb Award. 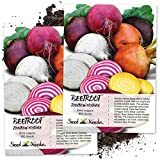 The Garden Patch Grow Box features a Nutrient Patch that delivers fertilizer and maintains the proper soil temperature. The Nutrient Patch also acts as a spacing guide when first planting your crop or flowers. With the use of the Nutrient Patch, you can use regular potting mix without worrying about nutrient deficiencies. This grow box holds a little over 23 gallons of potting mix. Assembly is similar to any other reservoir-style self-watering planter. The Garden Patch claims it only takes five minutes to set up. The reservoir holds four gallons of water, enough to keep plants properly hydrated for several days, even in hot weather. The grow box's cover keeps additional rainwater out, so your plants won't drown. Top and bottom soil aeration prevent fungus and disease from attacking your plants' root systems. 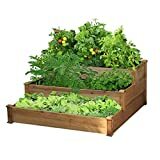 The Garden Patch Grow Box was rated 4.1 out of 5 stars by Amazon customers. Customers who were happy with their purchase saw quick sprouting, large plants, and huge produce. Customers who had a less-than-optimal experience with the Garden Patch Grow Box cited issues with fertilizer burns, the reservoir cracking, and plants dying or never growing. 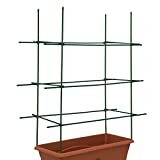 Some customers also recommended buying the version with a tomato cage if growing tomatoes. This grow box is very similar to The Garden Patch Grow Box, but with some slightly different features. Since their inception in 1994, EarthBox claims to be the pioneer of container gardening. EarthBox advertises that their grow boxes are recyclable, American-made, and award-winning. Instead of a fertilizer-infused soil cover like The Garden Patch Grow Box uses, the EarthBox grow box uses separate fertilizer and mulch covers. 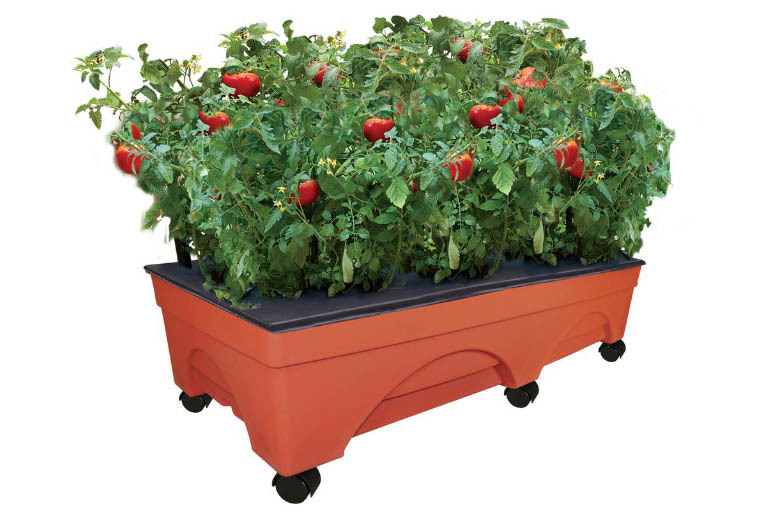 The Garden Kit also includes caster wheels, making the EarthBox grow box easily portable despite the added weight of water and soil. The EarthBox Garden Kit holds 15 gallons of potting mix. The EarthBox Garden Kit uses a reservoir self-watering system, but it is a slightly different style than The Garden Patch's grow box. 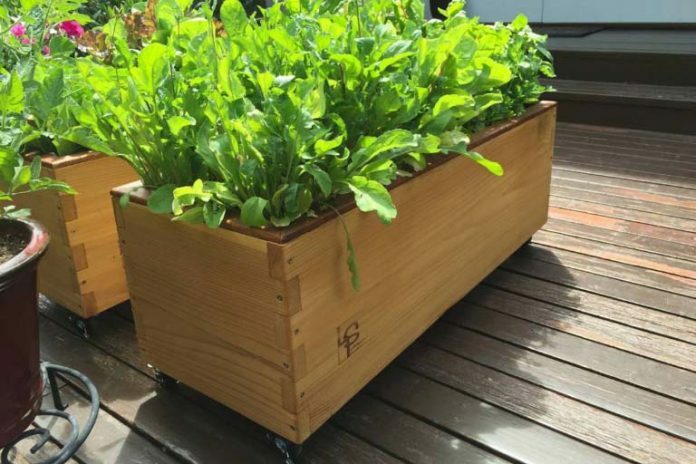 EarthBox's grow box uses an aeration screen placed several inches above the planter's bottom. You place the watering tube and add the potting mix on top. Water moves up through the screen, and you can replenish it through the watering tube with a hose or watering can. 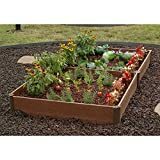 The EarthBox Garden Kit was rated 4.4 out of 5 stars by Amazon customers. 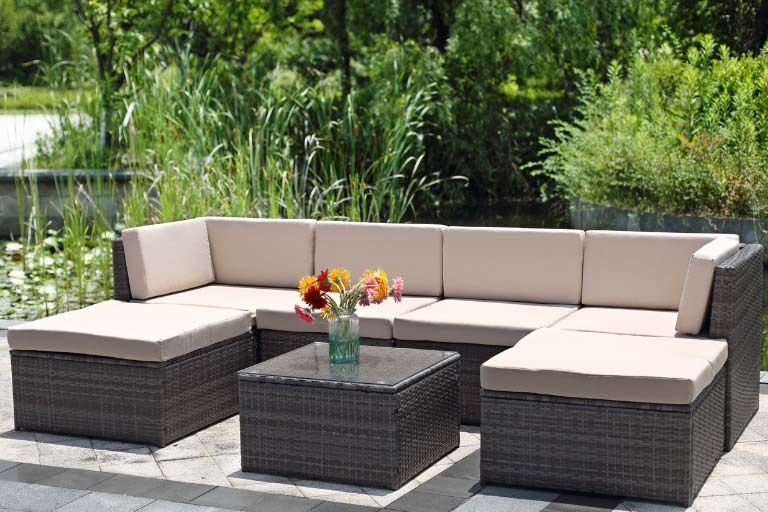 Happy customers love the space-saving quality and ability to grow plants they never could before. Dissatisfied customers were unhappy with the way the EarthBox Grow Kit looked and that their plants died. 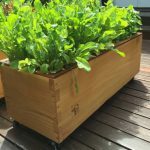 The Lechuza Delta 20 Planter is a smaller version of the grow box format. This planter sits on a windowsill and supplies regulated water and nutrients to your plants. The Lechuza grow box is for indoor use only. 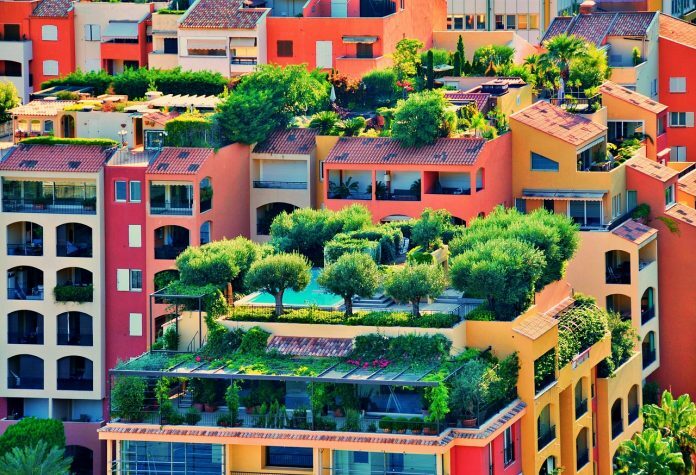 It is a great option for apartment dwellers without a deck or balcony. Since the Lechuza Delta 20 Planter goes indoors, there is no real need for a soil or mulch cover. 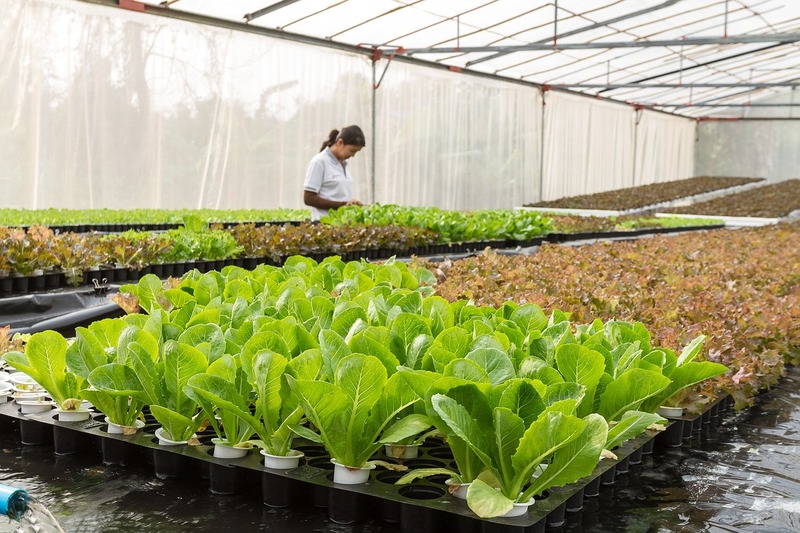 Lechuza has its own specially formulated substrate, called Lechuza Pon, that separates the water reservoir from the soil and releases fertilizer. The Lechuza Delta 20 Planter is much smaller than the others in this review, holding just over one gallon of potting mix. Because of its small size, this grow box is better for growing herbs or flowers instead of full vegetable plants. This planter has a typical reservoir, but with the addition of an above-soil water level indicator. 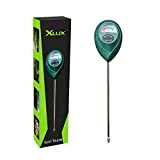 This makes it easy to monitor the water level and ensure your plants don't go dry. 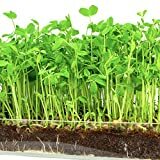 The Lechuza Delta 20 Planter was rated 5 out of 5 stars by Amazon customers, but keep in mind there are only a few reviews at this time. Customers who left reviews mentioned that this planter was great for lazy gardeners and travelers. Some also praised the planter's aesthetic design. You can find the Lechuza Delta 20 Planter at the Lechuza U.S. website and on Amazon. The CedarCraft Self-Watering Elevated Cedar Planter features eco-friendly wood. This is a refreshing change from the plastic in our other reviewed planters. 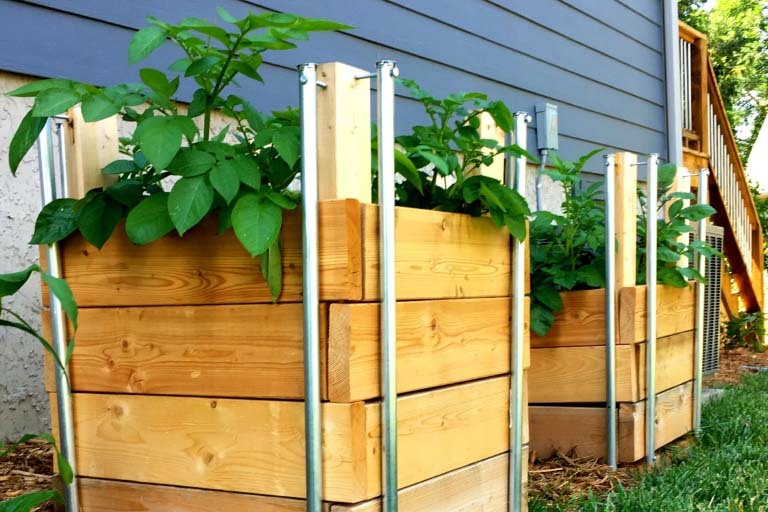 Its elevated design makes an excellent container garden for those with limited mobility and protects plants from small wildlife and pets. The CedarCraft Elevated Planter does not include fertilizer, substrate, or a mulch cover. This grow box holds a little over 32 gallons of potting mix. The water reservoir holds up to six gallons, so your plants can stay hydrated for a long time with no maintenance. Like the Lechuza Delta 20 Planter, this grow box features a water level indicator. This lets you know when it's time to refill. 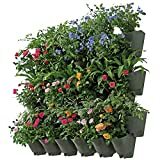 The CedarCraft Elevated Planter was rated 4.4 out of 5 stars by Amazon customers. Satisfied customers referenced quick assembly, pest control, and happy plants. Most negative reviews blamed a leaking water reservoir for their dissatisfaction — there is some evidence to suggest this is part of the planter's intended design. You can find the CedarCraft Elevated Planter at the CedarCraft website and on Amazon. Between The Garden Patch Grow Box and the EarthBox Garden Kit, we prefer the EarthBox product. With a water-filling tube and the inclusion of caster wheels, it is easier to move and maintain than its competitor. The slightly higher customer reviews also don't hurt the EarthBox. 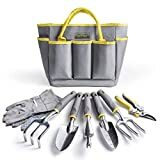 With very few past customers experiencing any issues with the Garden Kit, you can buy with confidence. That said, the price of the Garden Patch Grow Box is almost half of the EarthBox Garden Kit. If the price is important to you, the slight benefits of the EarthBox product aren't worth the extra money. As for the other two grow boxes in our review, they each have their place in the container gardening world. The Lechuza Delta 20 Planter is ideal for indoor gardeners or those who don't need the soil capacity of its larger counterparts. The CedarCraft Self-Watering Elevated Cedar Planter is best for large spaces and gardeners with mobility issues. One is not necessarily better than the other; they simply suit different circumstances. Eating organic produce has so many varying benefits. 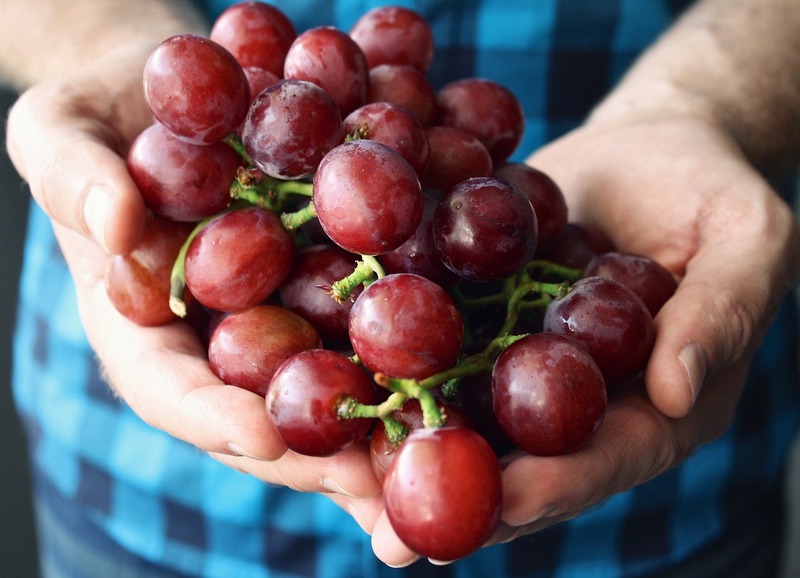 Eating organic leads to better overall health, stronger immune systems, and less illness. But one downside of organic food is that it can be expensive. Luckily, with organic gardening, you can get all the benefits without the high costs. If you’re focused on a healthy life fueled with organic food, growing your own food is one of the best moves you can make. Through organic gardening, you have complete control over what goes into your food so you can guarantee that you’re eating fresh, non-GMO, and pesticide-free produce that’s great for you. And you get to save on groceries too. But the benefits don’t stop there. Read on for all the benefits of organic gardening and how easily you can get started on your own. With a rise in health concerns and a shift to healthier eating, you’ve probably heard the word organic more lately. But what does it mean when it comes to gardening? For gardening, organic means growing with nature's natural ingredients. 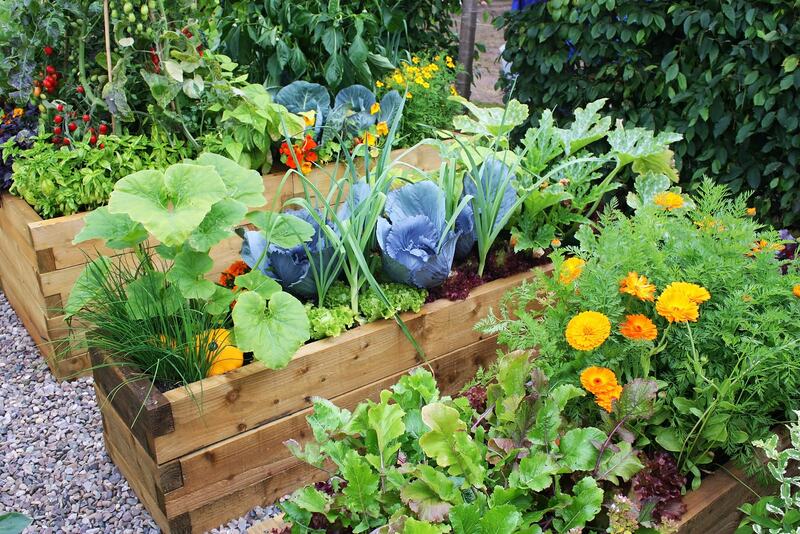 Organic gardening is growing without the use of pesticides, herbicides, or synthetic fertilizers. In commercial farming, there are intricate rules and regulations put into place for what foods can be labeled as organic or not. But when you take matters into your own hands, growing organic food is a lot simpler, and the benefits are so worth it. With organic gardening, you know exactly what you’re getting. 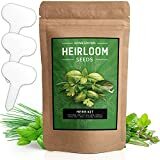 You know what kind of seeds you’ve planted and their quality, the health of the soil used, and most importantly that nothing detrimental to your health has entered the growing cycle. Synthetic fertilizers, pesticides, and herbicides have been linked to an innumerable amount of health implications. When you opt for organic gardening, you reduce your intake of fertilizers, pesticides, and herbicides and boost your overall health. Organic gardening gives you fertilizer, pesticide, and herbicide free food so you can avoid their link to these awful health problems. 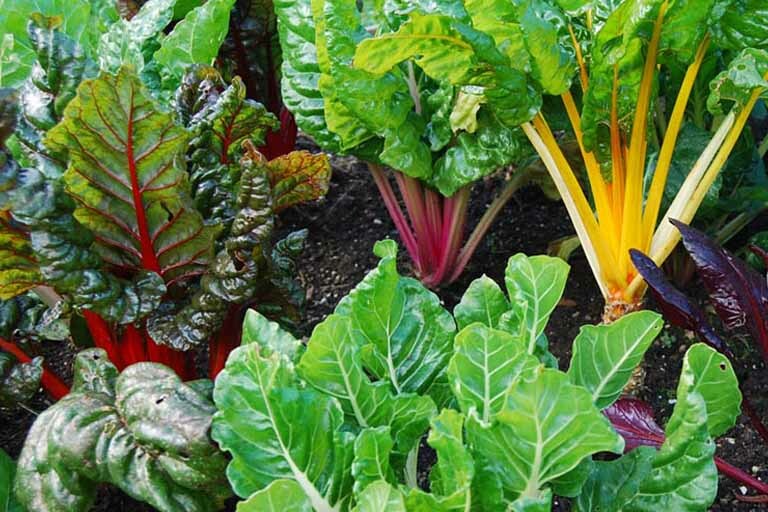 While there are important benefits to the produce you reap from organic gardening, the process of gardening has benefits too. Stress is a huge problem in our society, and it has so many health implications. 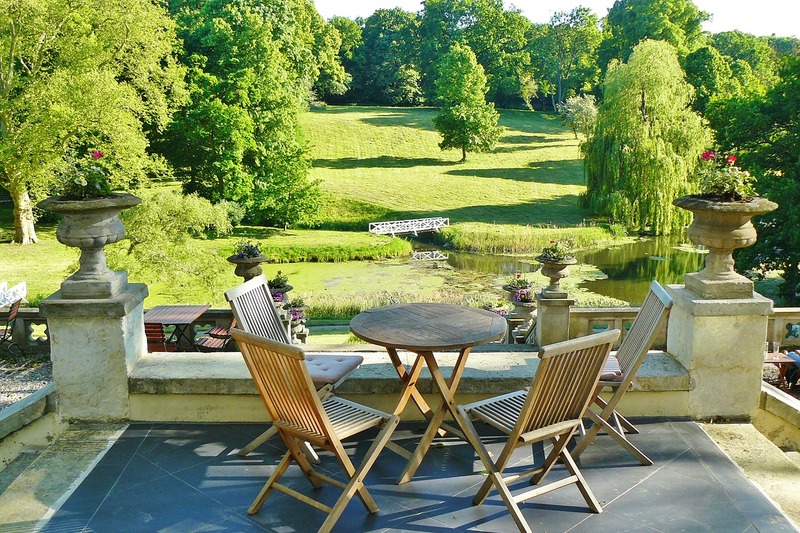 But spending time in nature, as you do while gardening, has been shown to be a great stress reducer. A lack of Vitamin D has been associated with multiple types of cancer, bone density problems, type 1 diabetes, joint and muscle pain, heart attacks and more. What’s a great way to make sure you’re not deficient in Vitamin D? Spend some time in the sun. 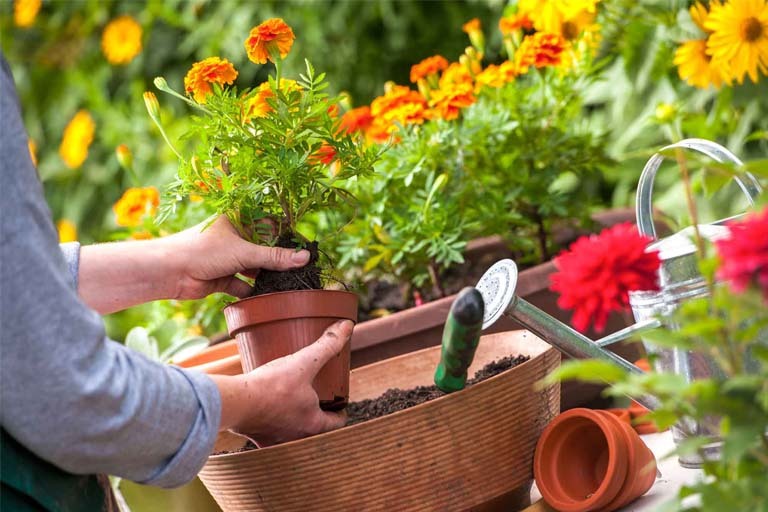 A short 20 minutes outside in the sun boosts your Vitamin D to optimal levels, and when you spend that short time gardening, you get so much more than just a vitamin boost. As we mentioned before, organic produce can be expensive. In fact, many people avoid organic produce because they say it’s too expensive. 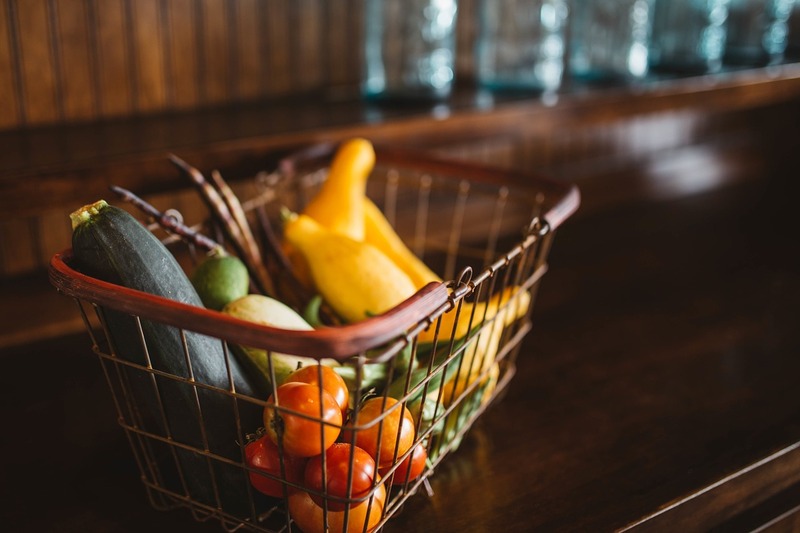 But the benefits of organic produce are too good to miss out on, and a great solution is to find a way to reduce the costs of organic produce. 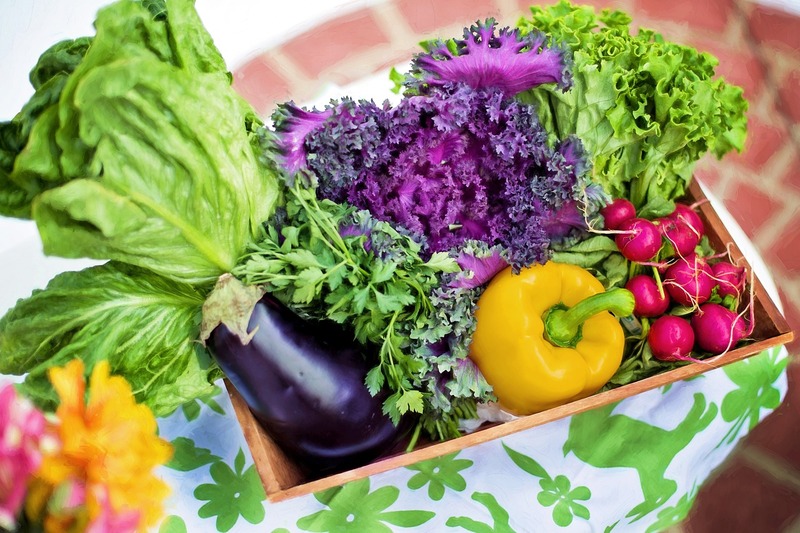 The best way to eat organically without the high grocery bill is through organic gardening. 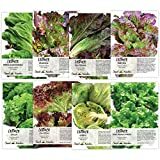 Once you get your garden started, which doesn’t cost all that much, you essentially have a free or low-cost source of high-quality organic produce. Science has proven that certain bacteria that naturally occurs in soil acts as a natural antidepressant. Organic gardening allows for produce to grow without killing off these bacteria with synthetic fertilizers, pesticides, and herbicides, which means you get to feel happier. Organic gardening also gets you up and moving. When you know the benefits of organic gardening and taste the amazing produce your plants’ yield, you’ll be eager to take care of your garden. This means you’ll spend more time active and outside. So if you could use some increased movement, but are just not a fan of the gym, organic gardening is a great way to get you moving with a purpose. 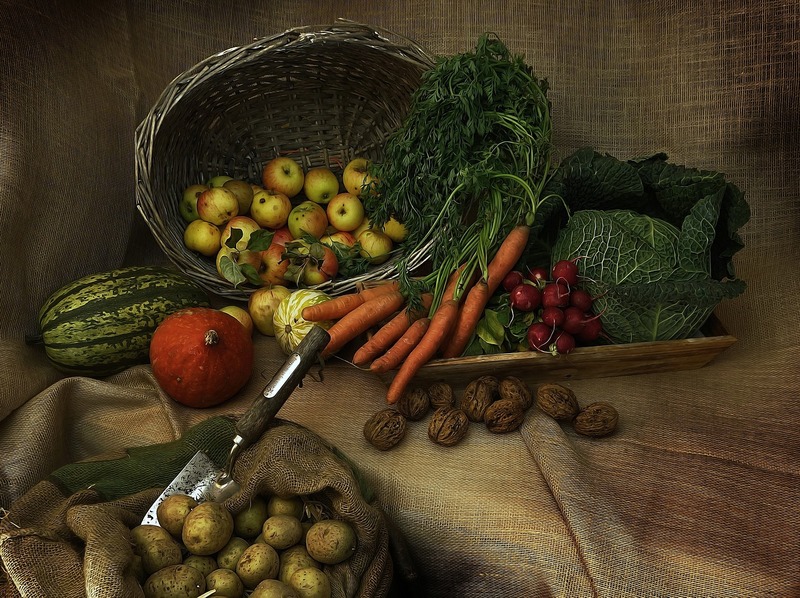 While there are a lot of anthropocentric benefits to organic gardening, the environmental benefits shouldn’t be overlooked. The synthetic fertilizers, pesticides, and herbicides used in conventional growing negatively impact environmental health too. Chemical pesticides kill both beneficial and harmful organisms and have been linked to negative impacts on bees, butterflies, and other important pollinators we need to grow food. These pesticides are even thought to be a driver behind bee colony collapse. The synthetic fertilizers, pesticides, and herbicides don’t just go into our soil and food; they penetrate our groundwater leading to high toxicity levels. These products also get washed off as runoff, ending in streams and oceans, polluting environments close and far. Organic gardening is good for you and the environment, and it’s easier to start than you think. Read on for how you can get started. Before you get started in your organic garden, it’s a good idea to have all the materials you need. This way, once you get going, you don’t have to stop to go out and buy missing materials. While it’s a good idea to get all high-quality materials for optimal ease, it's essential to buy high-quality seeds. 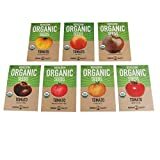 There are lots of sources for 100% organic and non-genetically modified seeds, so look around and pick the best ones. The same goes for seedlings. 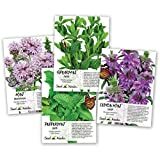 A great thing about organic gardening is that once you get your first round of seeds, you won’t really need to buy more. 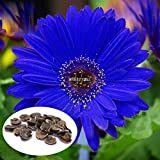 You can just use seeds from your existing plants for future planting. Once you’ve got all your materials, plan out your garden to make the whole process easier by picking the best site. You can grow an organic garden anywhere from your windowsill to your yard; it just depends on what you’ve got to work with and what your garden goals are. If you’re growing in a yard or open space, focus on your size goals and pick an optimal location. You want to pick a spot that will get the right amount of sunlight for the crops you want to grow. You also want an area that has draining abilities, so your plants don’t get flooded. For optimal growth, it’s important to pick plants that will grow best in the conditions of your site. 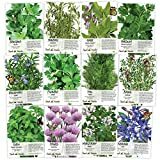 Pick the plants that will work best in your overall garden, and in specific parts of your garden based on moisture, drainage, light, and soil quality. 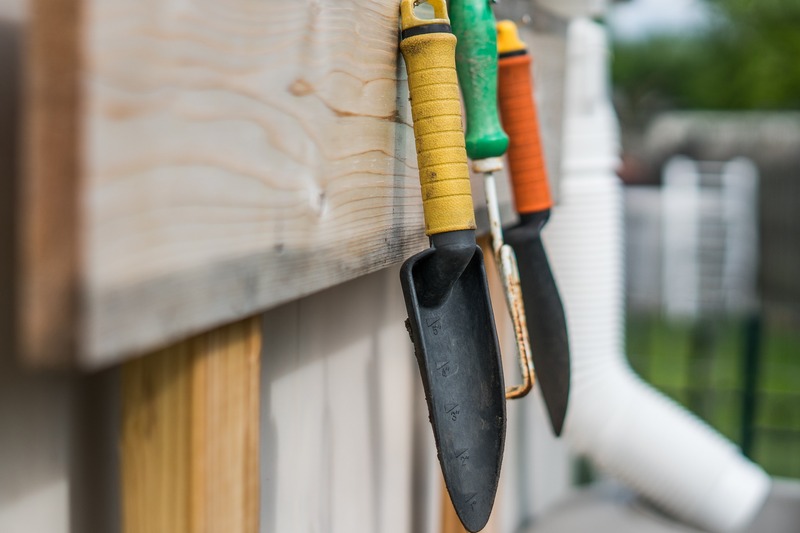 Once you’ve got the perfect garden site picked, it’s time to get your soil ready. Different soils have varied nutrient levels and components, and these all affect the plants you grow, so it’s important to test your soil for quality. Using your test kit will give you the best information on your soil composition, but if you want, you can try testing your soil by hand too. To do this, grab a handful of soil and give it a tight squeeze. 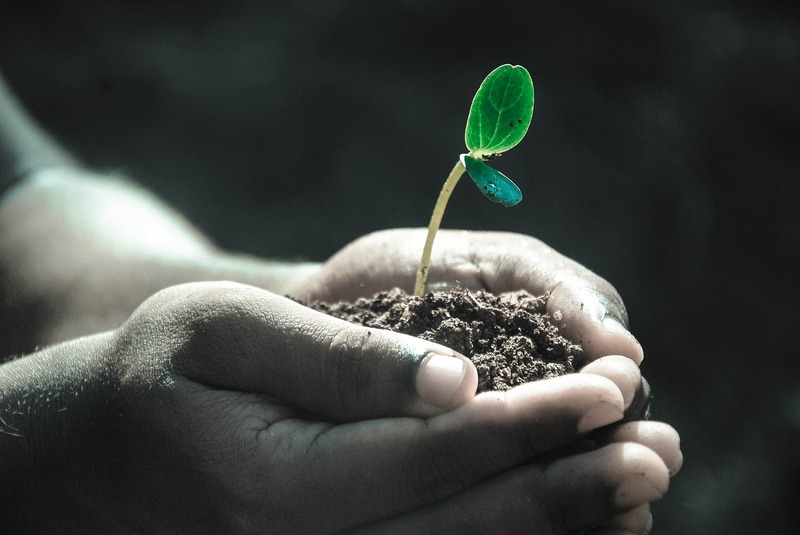 When you open your hand, an optimal quality soil will keep its shape and crumble when you gently poke it. Whatever soil you’re working with, it’s important to give it a nutrient boost before you plant. 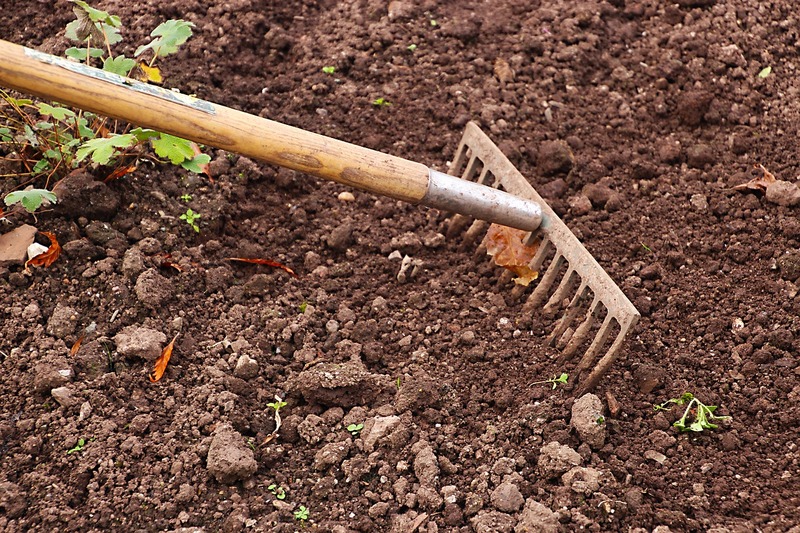 For the best growing soil, mix in some compost, manure, and leaf and grass clippings. 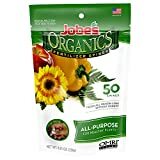 If you don’t have enough soil, you can also purchase some organic soil. 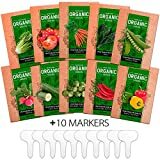 The last step of starting an organic garden is the best part! Now you get to start planting. 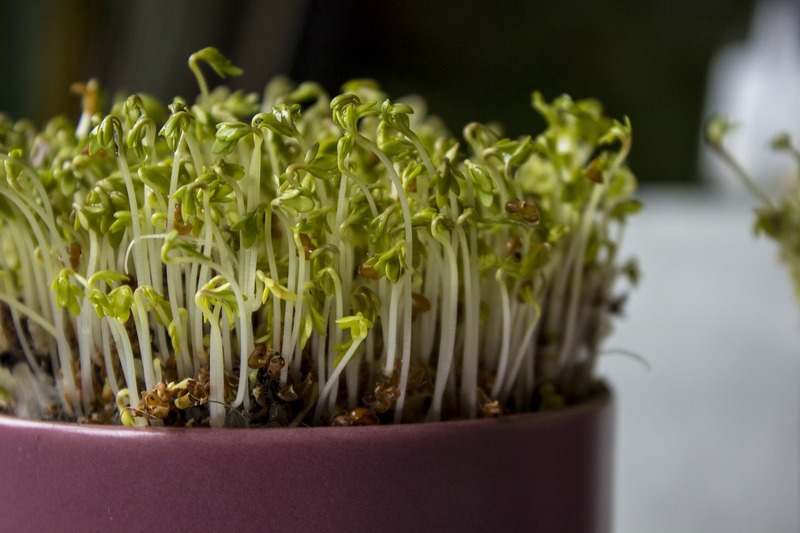 If you're planting seedlings, dig a hole that’s as deep as and twice as wide as the roots, place your plant in the hole and fill with the soil you removed. For seeds, you don’t have to dig as deep or wide. It’s a good idea to keep similar plants grouped together to reduce weeding and watering waste. It’s also a good idea to keep space between your grouped rows to increase air circulation and reduce fungal growth. Organic produce has so many health benefits for you and the environment, and the best way to eat organically without the high cost is through gardening organically. Now that you know the benefits of organic gardening and how easily you can start your own, you’re well on your way to better overall health and happiness while helping the planet too. Wild fennel has the appearance of celery but is is quite different, even though it is a close relative. Despite also being a member of the carrot family, fennel has none of celery's mildness. 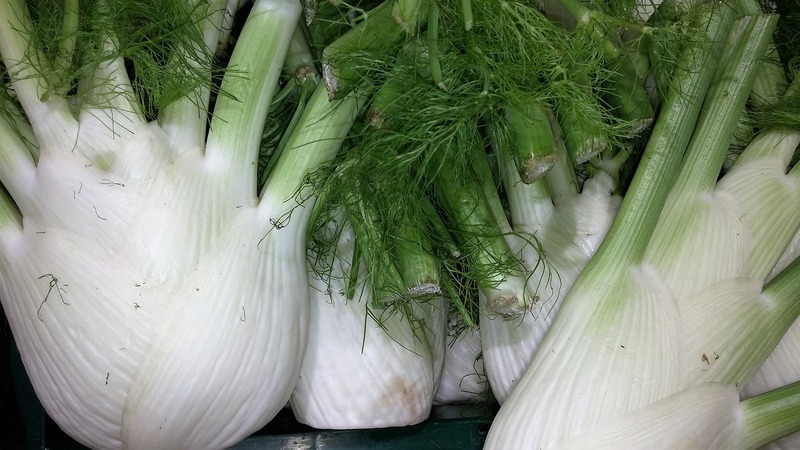 Almost no vegetable is equal in flavor to fennel. Fennel's strong spice is found in liquorice and anise flavoring. After a bite into one of these white stalks, you won't ever forget the difference between fennel and bok choy. The unforgettable taste of fennel comes with healing properties, and it can be found in a variety of ecolandscapes in the wild. People often find that wild fennel is superior in flavor to store-bought varieties. Foragers unite. Your search for flavor ends here. This seemingly unfamiliar vegetable has a surprising variety of uses. It is of the genus Foeniculum and the specific species is calledF. vulgare. Fennel offers many health benefits, but it may take some daring to invest in. Fennel's natural characteristics alone make it a vegetable you should consider bringing into your diet. As a gardener, you can expect growing fennel to be similar to growing other herbs. And as a forager, you will come to recognize it and may consider taking it home to grow. In cooking, wild fennel leaves can be used as an herb to season pork, fish, or wild game meat. 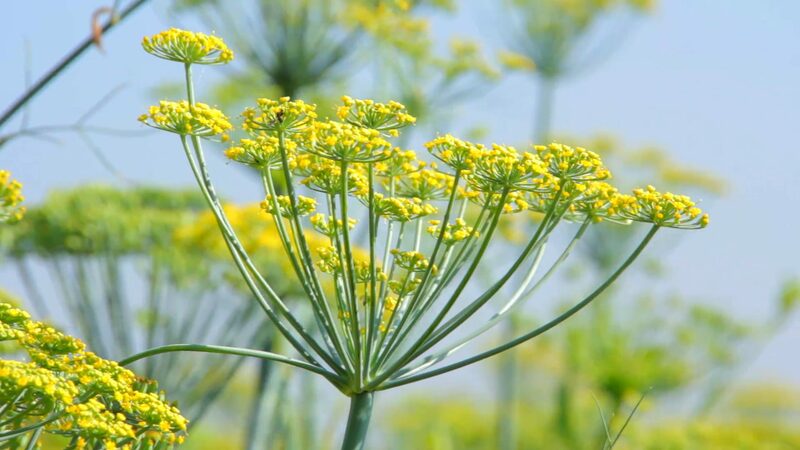 Wild fennel can be used in the same way that many other vegetables are used. Its bulb can be eaten raw, sauteed, roasted or stewed in soups. Chopping it up and adding it to soup is a favorite way to prepare fennel. Even the seeds, which hold the largest share of spice flavor, are commonly used to season pickles and cookies. Fennel is the main spice in preparing Italian sausage; not surprising since this plant originated in the Mediterranean. It is even the flavoring for the alcohols Absinthe and Akvavit. Teas and salads are also made from it. 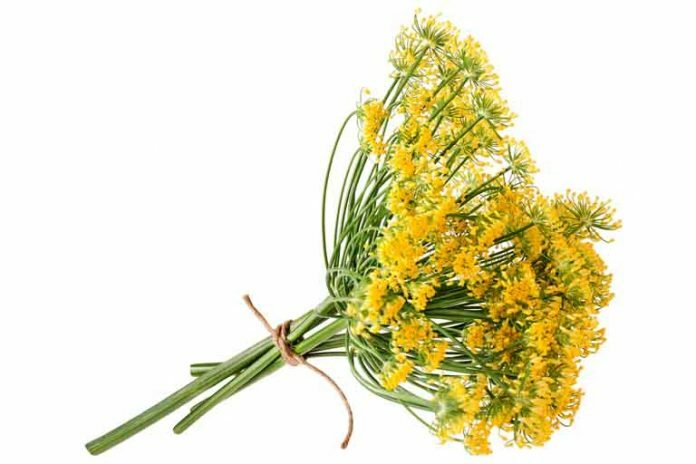 Once in bloom, the clusters of fennel flowers can be added to pancakes for a sweet spice. 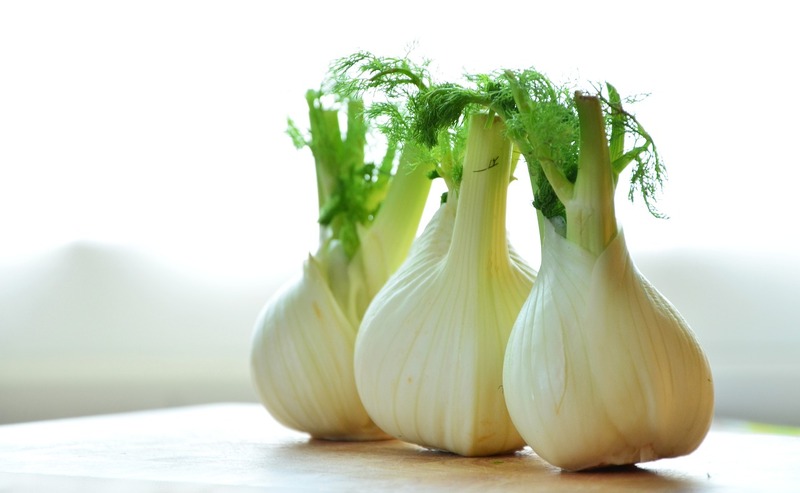 Fennel is a good source of potassium, calcium and fiber. One cup of fennel has 20% of the recommended daily dose of vitamin C.
The dried seeds are a natural home remedy for freshening breath and treating indigestion. Fennel is often used for its flavor in products like toothpaste, antacids, and breath mints. Anise drops can still be found in an old fashioned candy store. Using a mortar and pestle to grind the seeds, the powder can be readied for use in an herbal remedy. 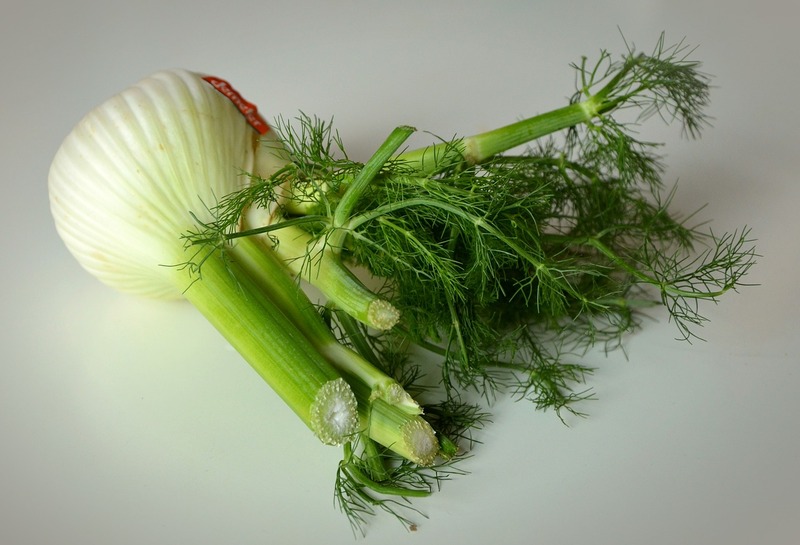 Fennel boosts immunity, eases menstruation woes, and treats anemia. It facilitates digestion by coating the digestive system with its essential oil. This acts as a stimulant to induce natural gastric secretion, reducing inflammation and encouraging proper nutrient adsorption. It has a positive influence on the circulatory system by lowering high blood pressure and regulating cholesterol levels. 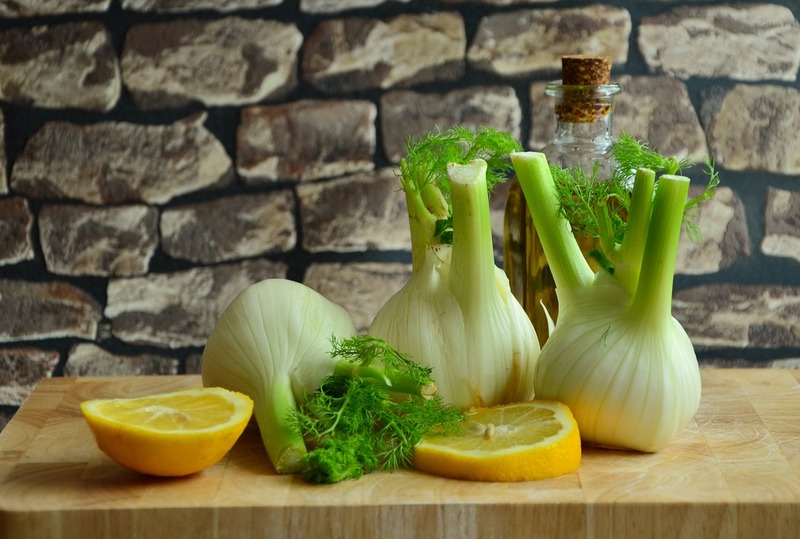 Additionally, fennel is known not only to inhibit the growth of cancerous tumors, but also to ward off the harmful effects of chemotherapy treatment. It can prevent macular degeneration and premature aging. Antioxidants are abundant in fennel, which rejuvenate tissue. The juice of its leaves can be applied to sore eyes to reduce irritation. Wild fennel is an annual in the upper Midwest, but in warmer climates can be a biennial or perennial. Find wild fennel in an open undisturbed fields and save the seeds for your garden at home. 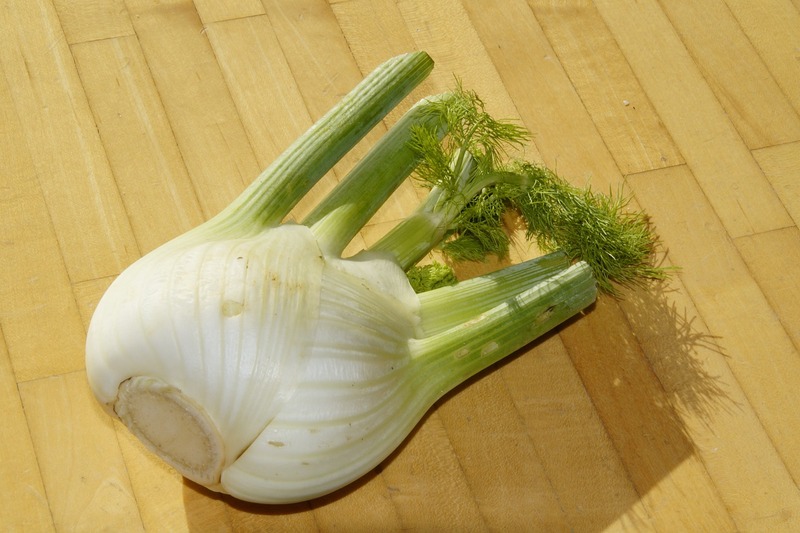 Fennel can be transplanted as well (it is reportedly abundant naturally in the Western states). Avoid picking roadside fennel that may have been sprayed with chemicals or absorbed harmful compounds through its roots. 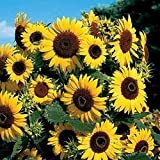 Plant in low to medium fertility soil. Do not add fertilizer. An organic compost may be added to the first six inches of soil. Soil pH should be in the range of 6.0 to 7.5. 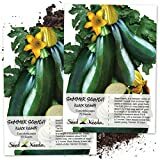 Space seeds several inches apart, and more if planting in a container. It takes about three months to grow fennel to size, and two weeks to germinate. Water the seedlings daily to keep them moist. Once they have stabilized their main stalk and roots, water less than daily. More mature plants may be only watered twice a week during dry spells. Plant fennel seeds after the last frost of winter in temperatures between 50 and 70 F. It will need plenty of space, so don't forget to add more than you might otherwise. Wild fennel will develop an extensive root system. At its maturity, fennel reaches a height of three feet. It may take a few years to observe the growth patterns and heartiness of the variety you planted. 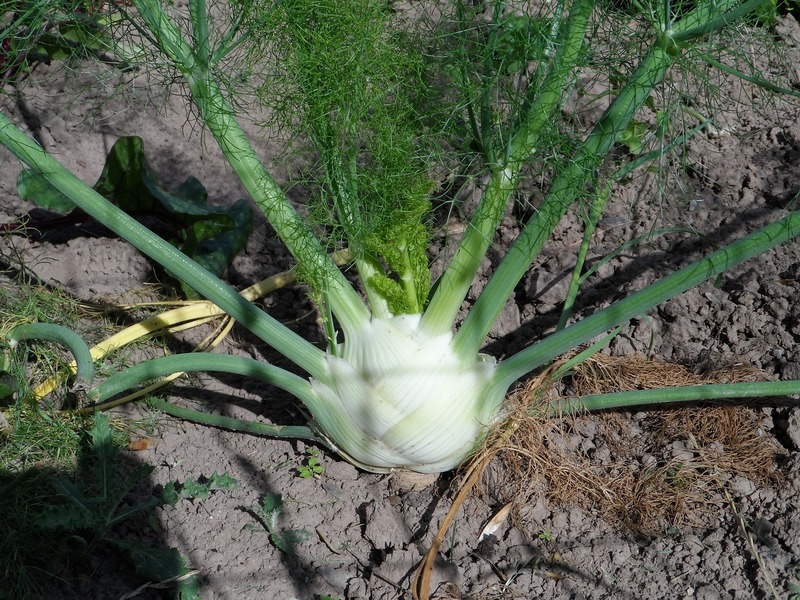 Fennel is known to cross pollinate, resulting in a mixing of flavors, and thus it should be kept away from other garden vegetables. Reserve a portion of the garden for fennel alone. Alternatively, plant wild fennel in a large pot with spacious tap root room. 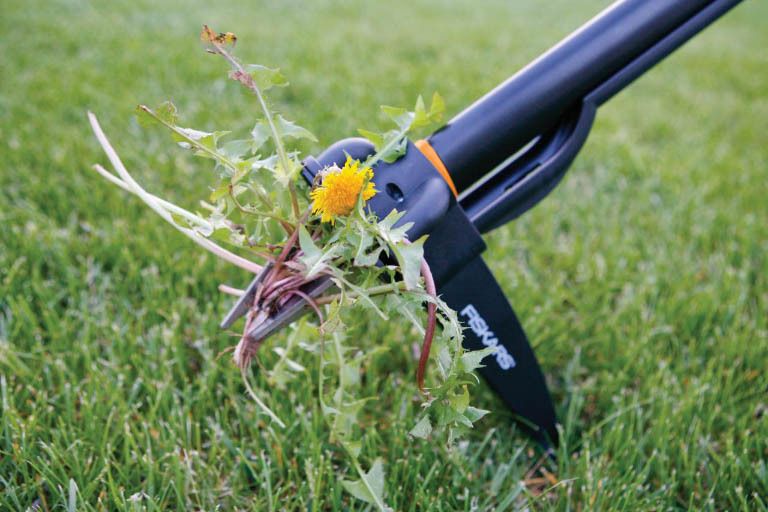 It has a large network of underground roots, much like mint, which can be a danger to lawns and other plants. Be aware of the plant's horizontal and vertical toot reach. Pluck out fennel seedlings while they are young or you may need to spend some time digging deeper in the future to uproot the plant. Keep fennel in full sun and the soil well drained. 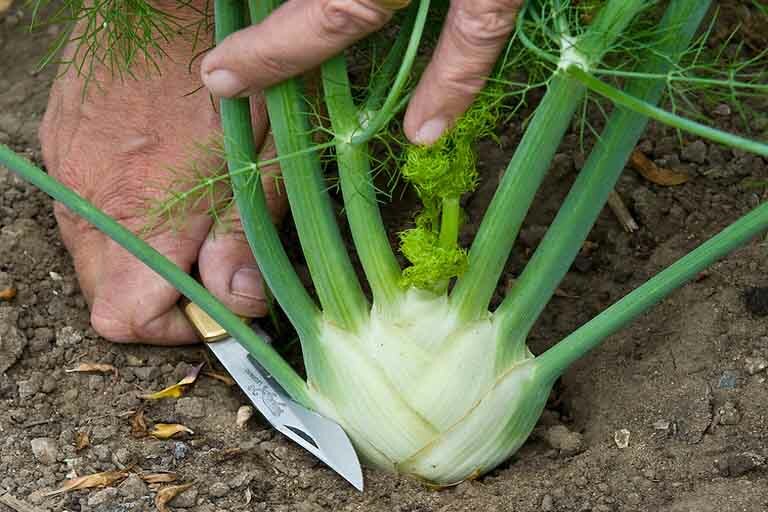 Stake the fennel plant if their height puts roots stability at risk. 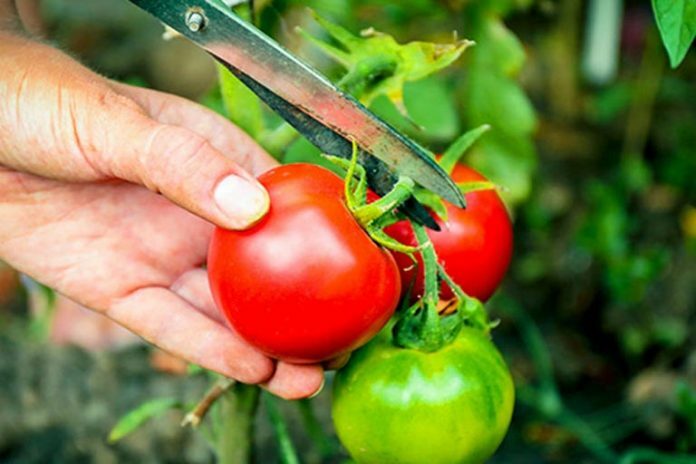 Lean or tie the stake to the plant's upper portion for balance. In terms of insects and infestations, slugs and snails may find your fennel plant interesting. Small populations can be removed by hand. Aphids and flies can be controlled by spraying the foliage of the plant with a soapy insecticide spray. 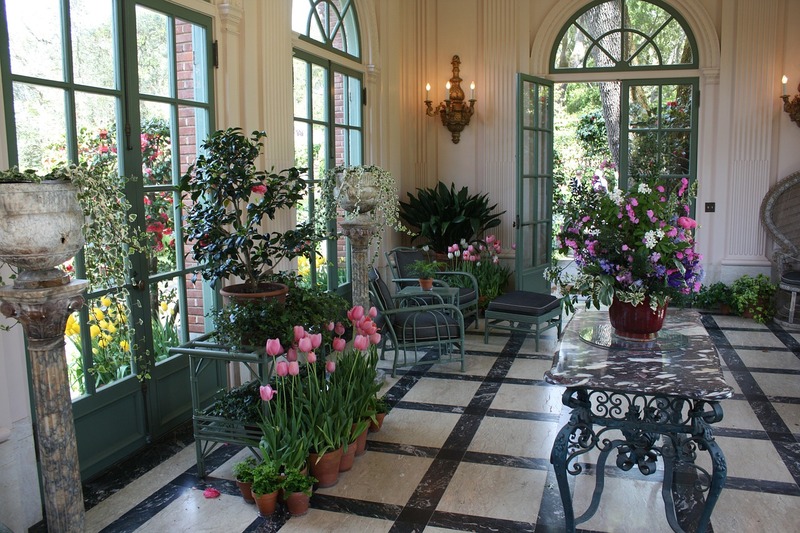 Container plants need to be in direct sunlight or in a south-facing window. After months of watching, you can finally make use of what you have sowed. Fresh wild fennel should be used within three days of harvesting, so take what you need right away and leave the rest for the near future. All three parts of the plant can be used, each with distinct purposes. Seeds are produced after the plant has bolted. The bulb is the most prized part of the plant and has side dish potential. The bulb of wild fennel will be the most familiar to cooks. Cook the bulb like any other root vegetable. Harvest the fennel bulb when it is three to five inches across. If you want to harvest the bulb and the seeds, you will need to have multiple plants. The bulb should be harvested before the plant goes to seed; otherwise the base flavor will be changed. One head of locally grown fennel. 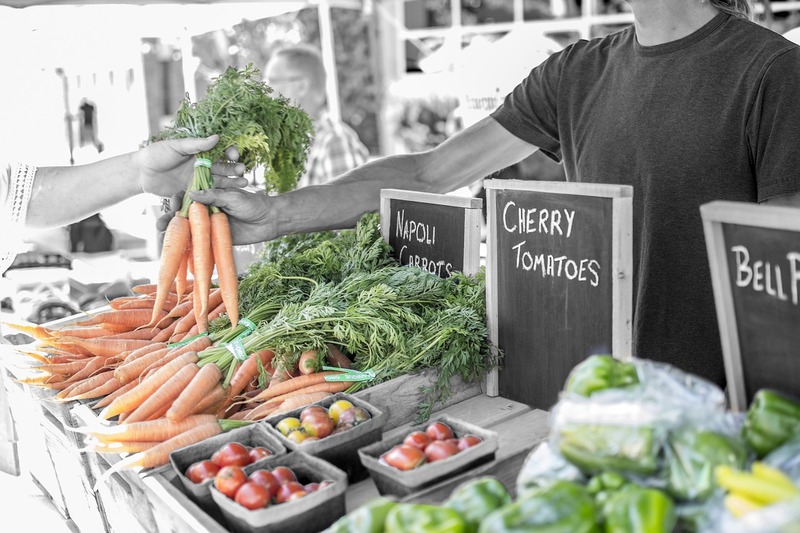 Farm-fresh produce sourced from local farms and farmers markets. Eat healthy; support the local economy and environment. Wild fennel's foliage is similar in appearance to the greenery of dill. Cut the plant where the green stalks meet the white stalks or just the most leafy strands with a pair of scissors. Foliage can be removed and regrown throughout the season. These loose, long strands can be chopped up while fresh or dried. For drying, tie together handfuls of stalks and hang them from a ceiling hook in a warm place. You may preserve the herb fresh by placing chopped fennel in an empty ice cube tray and filling each with water to provide a protective medium. Later, transfer the cubes to another container after they have solidified. Seeds have an aromatic anise flavor, like liquorice. Collect the seeds when they are brown. Place a container under the cluster of seeds and shake to loosen. They should fall easily away from the plant. Leave the seeds to dry in the sun until they have darkened to gray. 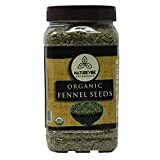 Consider harvesting fennel seeds to prevent widespread growth even if you are not using the seeds for other purposes. Dried seeds can be ground and saved as a spice. With an endless list of ways to use fennel, it's a wonder that fennel mostly goes unknown. Once non-native to North America, wild fennel has taken root throughout the lands; so much so that it is often considered a weed. But it has its heart around many a forager or wild plant seeker. Fennel's abundance is a flavor of love. Bring your shears and a sack for the bounty. Collect and try a new recipe. 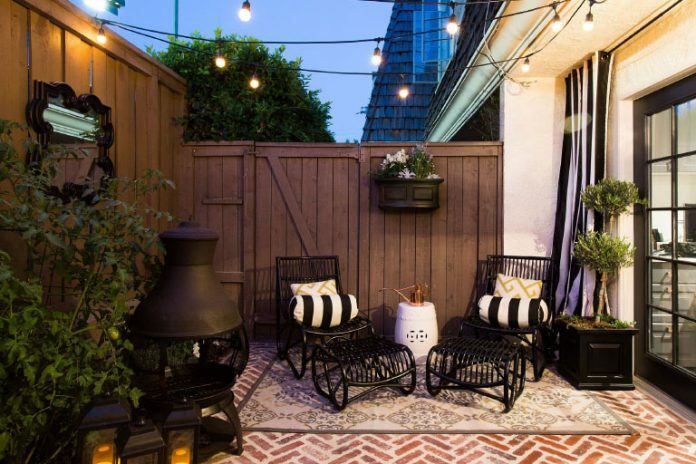 Few plants are as versatile and as easily recognizable. Nature's healing properties will greet you and thank you.